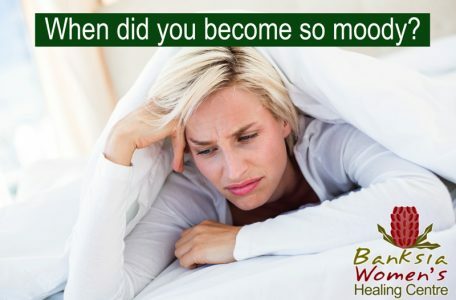 When did you become so Moody? Being moody affects everyone around you including your true happiness. As children play happily around you, your blood begins to boil. Everything they do just irks you. Their squeals are like fingernails on a chalkboard, they bounce too much and ask too many questions. Not-to-mention the way your husband/partner rattles the teaspoon in his cup way too loudly every time he makes a coffee. Now really, does he have to make that much noise? Even the dog annoys you. Looking at your longingly. Wagging her tail every time you go near her. Urging you to walk her. Doesn’t she know you just don’t have the time!! Every day your emotional sphere fluctuates between annoyed, angry and teary. And you can’t remember the last time you smiled. Truly smiled. That broad grin that used to light up your husband’s world. In fact you can’t quite recall when you last laughed. The last time you felt joy and true happiness. Lately you’ve just been moody and cranky. You know that everyone around you walks on egg shells for fear of you tearing strips off them. But when did the fun stop? When did you become so busy that you’ve forgotten what it’s like to enjoy the little things. To stop and enjoy your coffee? To read a book. To laugh at your hubby’s idiosyncrasies and roll your eyes at your children just being youthful? To chat to your dog when she lovingly wags her tail at you? The truth is, our emotions are a reflection of our health and our physical body. Everything you consume physically affects you emotionally. And you can control and manage your emotions when you know how. Take control of your life, your emotions and grab fun by the horns. You’re worth it, your family is worth is and your life is worth it.